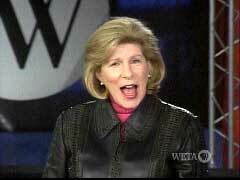 This is a good writing NPR’s Nina Totenberg Apologizes For Mixing Up Quotes | Mediacrank’s Weblog. It seems online writing had far surpassed print news. Even proffesional journalists can’t make it up to what the web writers can provide in terms of informativeness, and conciseness. Reading news worldwide online has completely replaced newspaper news for me.